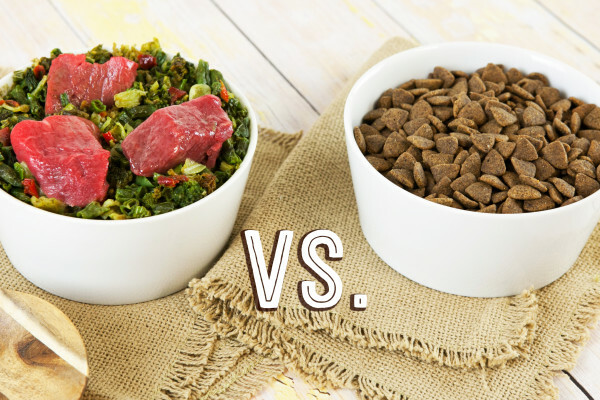 At Dr. Harvey’s, our mission has always been to provide information that will help pet parents to make the best choices when deciding on how to feed their companion animals and achieve optimal wellness. We provide foods that are often the solution to a guardian’s quest to find nutritional answers to chronic or recurring health problem. To that end, we have, for over 30 years, provided foods that help pet parents to feed their companions a daily diet that is made from fresh, safe and healthy ingredients. We have seen miraculous improvements in so many dogs, cats and birds and we have helped healthy animals to remain healthy. In our quest to provide continuing education and cutting edge information on animal nutrition we continue to search for the newest research available. This diet is high in fat, supplies adequate protein and is low in carbohydrates. This combination changes the way energy is used in the body. Fat is converted in the liver into fatty acids and ketone bodies. Another effect of the diet is that it lowers glucose levels and improves insulin resistance. An elevated level of ketone bodies in the blood, a state known as ketosis, leads to a reduction in the occurrence of epileptic seizures, may inhibit the growth of cancer cells and helps regulate diabetes and obesity. At the Keto Pet Sanctuary known for it’s cutting edge work with Keto and cancer, they feed dogs a high-fat, adequate protein, and low-carbohydrate ketogenic diet. The Keto Pet Sanctuary is a state of the art facility that provides a variety of alternative therapies for dogs with cancer. Dogs at the sanctuary are fed a . diet that is high in fat, uses moderate amounts of protein and is very low in carbs. The diet is meant to slow or halt the growth of cancer-based on the theory that cancer cells feed on sugar (including carbohydrates that break down to sugar) and will not survive on fat. The results are promising and sometimes miraculous. Rodney Habib, pet nutrition expert and researcher, recently spoke about findings from Veterinary Oncologists showing that there is a strong correlation between too much sugar, high carbohydrate and high starch diets and cancer. 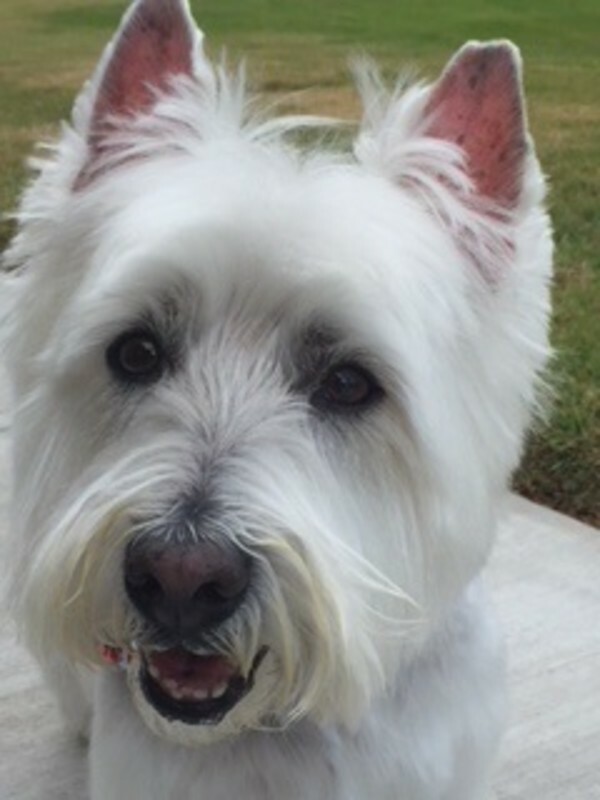 He is currently working on a documentary called, “The Dog Cancer Survival Series.” He has traveled the world looking for nutritional studies that provide alternative nutritional diets for dogs with cancer. These nutritional modalities include raw food and fresh food, caloric restriction, metabolic therapies and ketogenic diets. In a recent video, renown holistic veterinarian, Dr. Karen Becker, explained, “Everyone is talking about the damaging effects of high starch, high carb diets, pro-inflammatory diets. We know that these diets can contribute to diabetes, obesity, and arthritis. We know that there is an absolute correlation to the amount of sugar that a mammal eats and their predisposition to cancer. We know that’s true.” Food matters… According to some experts, there is no question about the correlation between carbs and sugar that could be a cause and exacerbating cancers. 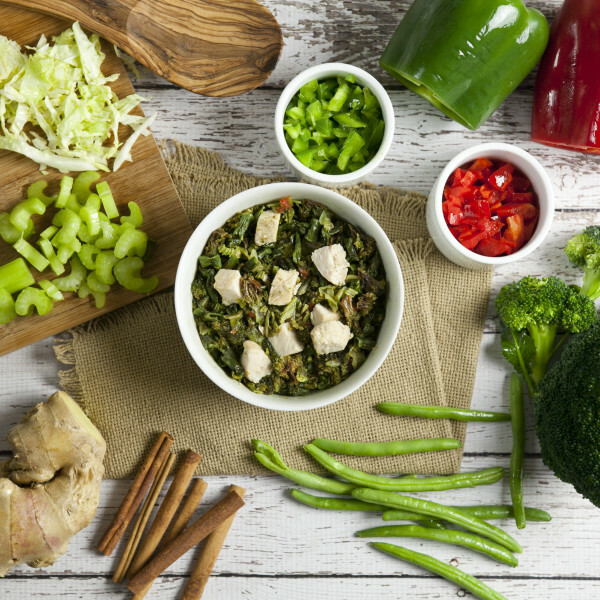 A diet rich in green low-carbohydrate and other low-glycemic vegetables can be helpful. While diabetes in dogs is a serious and complex condition, there is evidence to show that a diet that is low in carbohydrates can help to normalize blood sugar levels and encourage weight loss. We encourage pet parents who have a dog that has been diagnosed with diabetes to consider a nutritional intervention using a diet that is low in carbohydrates.
" … 90 percent of pet foods out there contain totally inappropriate ingredients that are not nourishing and actually create low-grade inflammatory processes, diabetes, and obesity. All the same health issues occurring in the pet world are occurring in the human realm in terms of overall health. Dr. Becker concludes that animals were not meant to eat the high carb diets that most commercial pet foods offer. Obesity in dogs is at near epidemic levels in the US. If you have ever had a dog that is overweight, you know how difficult it can be to reverse the condition. Obesity in dogs can lead to the development of a host of health problems including, diabetes, joint problems, and cardiovascular disease. Obesity is not just a vanity problem; it is in fact, a serious condition in dogs that adversely effect your dog’s health and longevity. 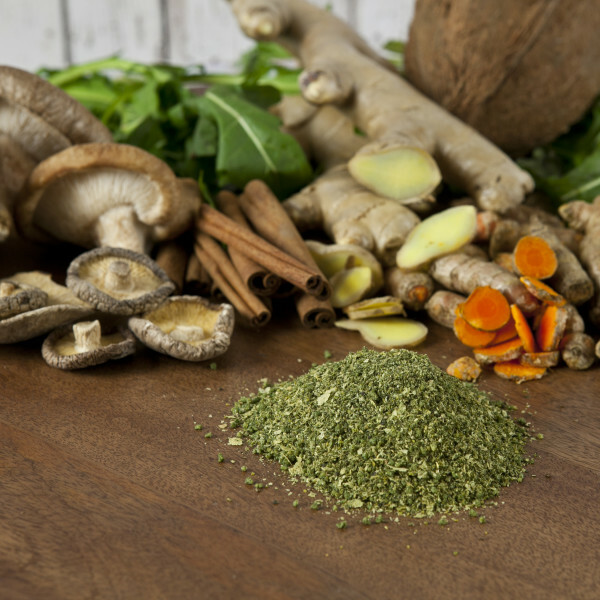 In addition to considering a low carbohydrate diet for your dog there are herbs that Dr. Harvey includes to boost the immune system, encourage healing and help to increase overall good health. There is no question that what you feed your dog can change their well-being and their outlook for a long and healthy life. When confronted with health challenges, using nutritional tools can help your dog to heal sometimes from even the most difficult of diagnosis. How we look at feeding our companion animals needs a new paradigm and there is now a body of research that concludes that feeding your dog fresh meals that consist of high-quality proteins, healthy fats and low amounts of carbohydrates can encourage healing and promote wellness. We have found that dogs who are prone to pancreatitis do very well, even with higher fat in the diet, when on a very low carbohydrate diet. Dogs prone to this serious condition do very well on the ketogenic diet and with our Paradigm as a base. Is a Keto Diet Good for Healthy Dogs? Quick Answer: Absolutely. 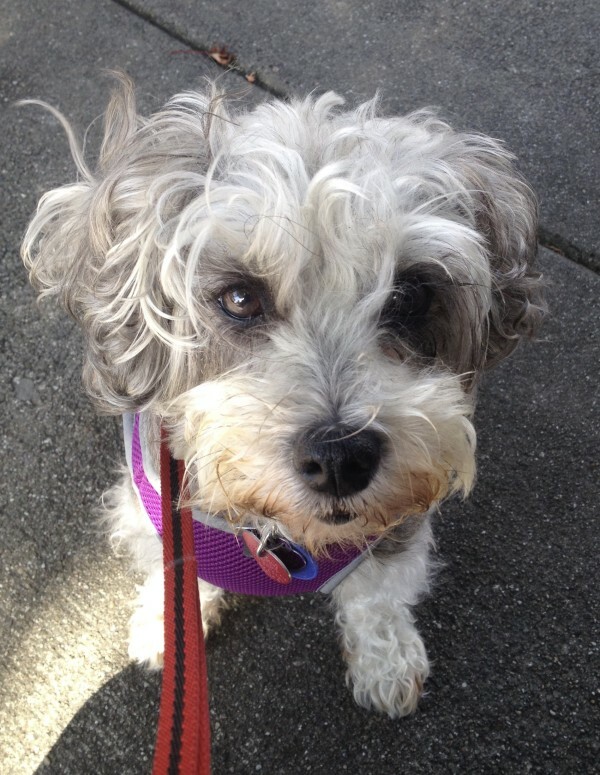 Using Dr. Harvey’s Paradigm for a healthy dog is a great option. 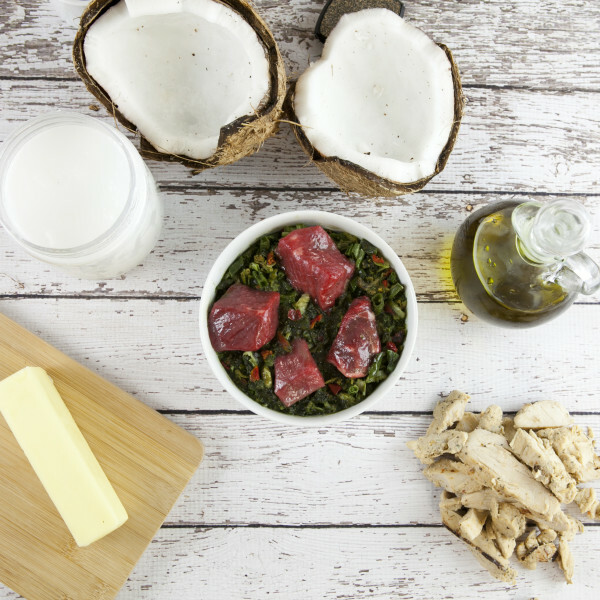 Paradigm is a great base for a ketogenic or low-carb diet. Adding additional healthy fats and healing herbs to fresh meat makes a perfect healthy diet for any dog. Starting your dog on this type of balanced homemade diet is easy and fun. If you are trying to give your dog the very best and “kick the kibble” habit, Paradigm is a great solution. Based on the findings of the distinguished researchers studying the benefits of a ketogenic diet and on the findings now published in the research literature on the benefits of a low carb diet for the care of dogs with cancer, diabetes, and obesity, we are working to educate pet parents worldwide. We are working to provide the very best information and solutions for your companion dogs. Sam LOVES Paradigm! He was starting to get a little finicky about eating, which he has never been, so I was getting concerned. He is a senior, age 14 and a half, and was diagnosed with diabetes in 2016, when he was 12. Since I have to give him insulin injections twice daily, I was obviously worried that he might stop eating…which would mean I couldn’t give him his insulin as needed. Thank you so much for making a high-quality, green superfood for dogs who need less carbs — which the veterinary diet is full of! I never understood how that was supposed to help! The only reason I made it work, I think, is because I monitored Sam’s blood glucose at least twice daily, did regular glucose curves at home, and strictly controlled his portion size. Our Seniors Deserve the Best! 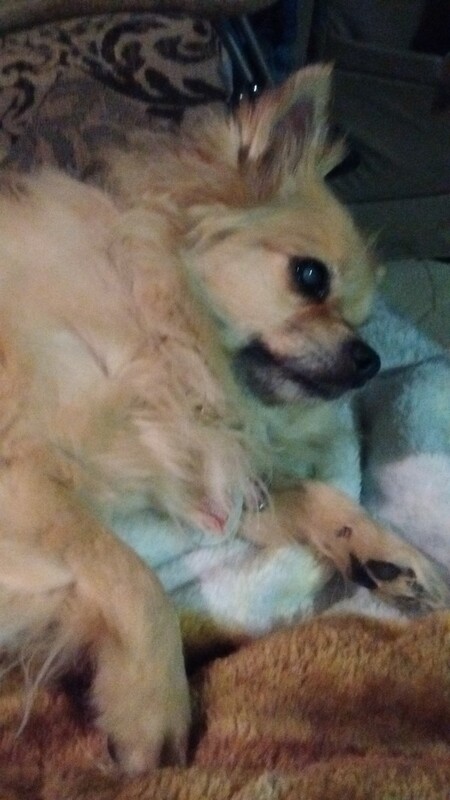 Peanuts is a 12-year-old Pomeranian/Chihuahua. 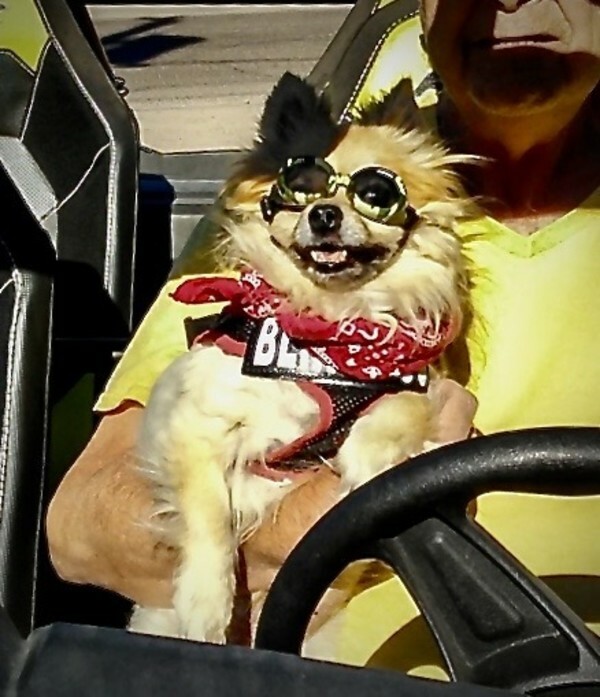 He was my husband’s Service Dog for a few years, then we got into doing Dog Agility and Dog Dancing. He has given so much to myself and my husband that I would give him my all and more! Almost 2 years ago, he was diagnosed with Diabetes. 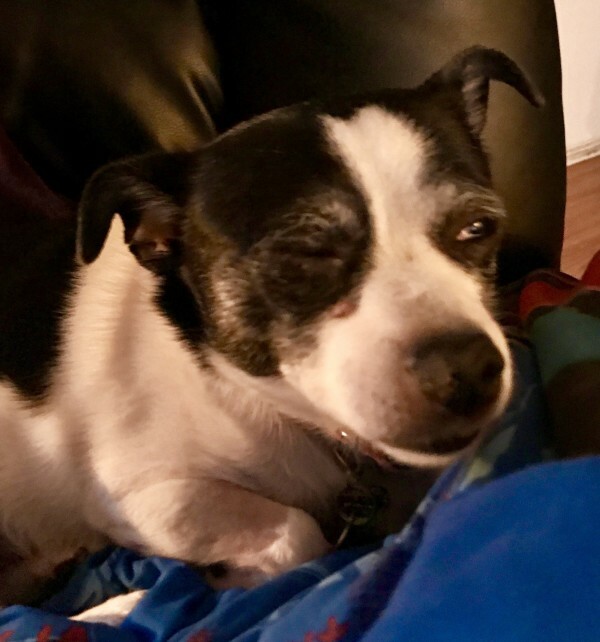 He has been blind now for a year, due to diabetic cataracts. I have struggled all of this time to get the right diet to control his blood sugar and keep him as healthy as possible.A few months ago, I made the decision to take him totally off commercial foods, and prepare his meals myself. My biggest worry was making sure he had everything in his diet that he needed. We have battled diarrhea throughout. Someone in my Diabetic Support Group had mentioned Dr. Harvey’s Paradigm Food. I proceeded to research it and was impressed. It was like fresh food with great supplements! Since trying the sample and seeing how much my VERY PICKY eater loved it, I decided to go for it. I have not regretted that decision! His diarrhea has cleared up. He has more energy, and after having a dull coat that didn’t want to grow anymore, he is getting a good coat growth again in a very short time. 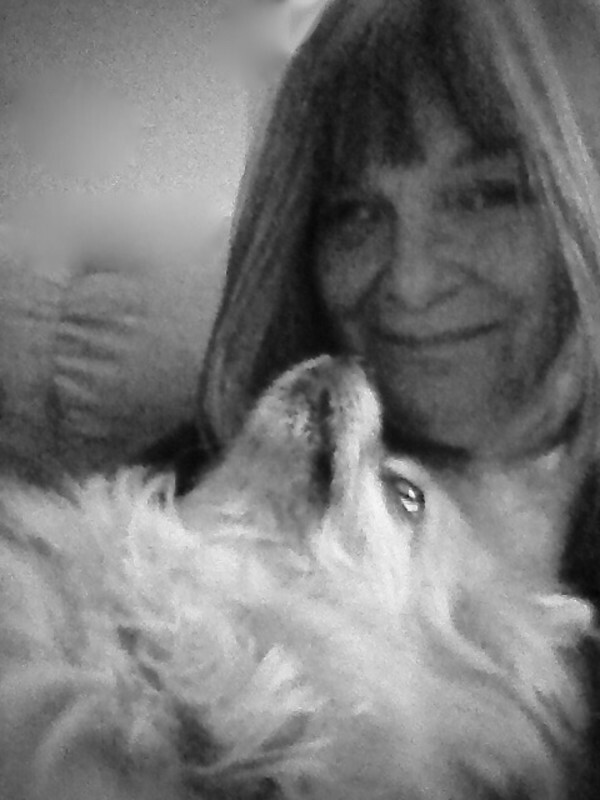 Less Insulin, Happy Dog, Happy Mom! I had to cut back on his insulin by 2 units! Many in my Diabetic Group are now converting to Dr. Harvey’s Paradigm with glowing reports! And I love it that if I have a question, Dr. Harvey quickly, personably, talks to me! WOW! Peanuts is a Paradigm dog for the rest of his life, and I’m a very Happy Mama! 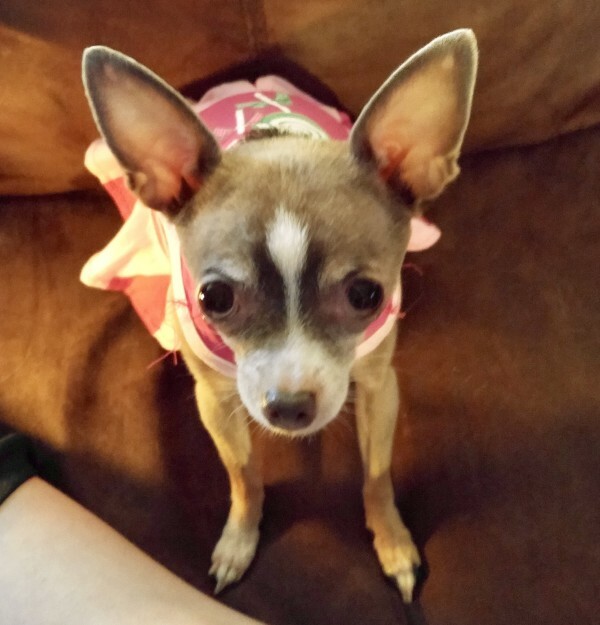 Thank You for Saving My Dog's Life! When your dog has diabetes the challenge to keep your dog balanced and healthy is a daily struggle. It is a difficult disease to manage and often causes additional problems such as blindness, pancreatitis and as with Paris, stroke. When we received this amazing email from Lori, Paris’s mom. 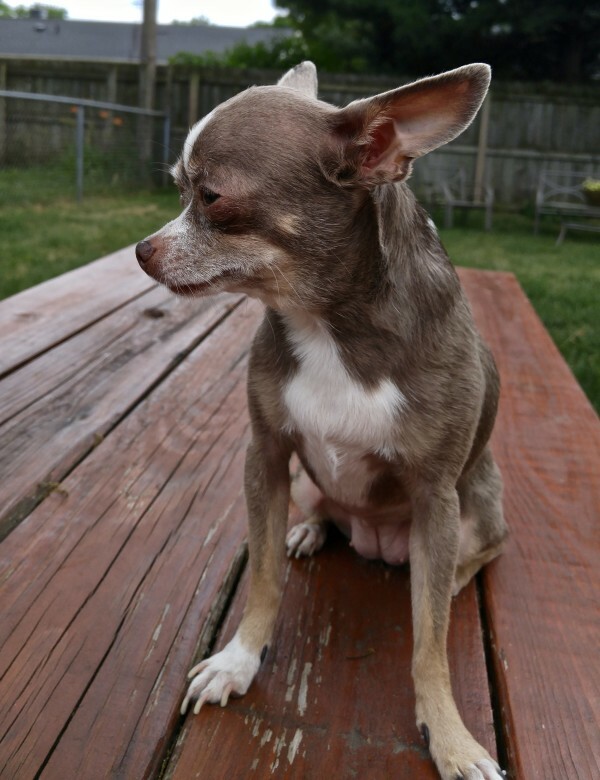 We thought other pet parents who may also be struggling should know about her experience. She sent us BEFORE and AFTER PHOTOS. I wish you knew the 10-year struggle I’ve went through to feed this Chihuahua. 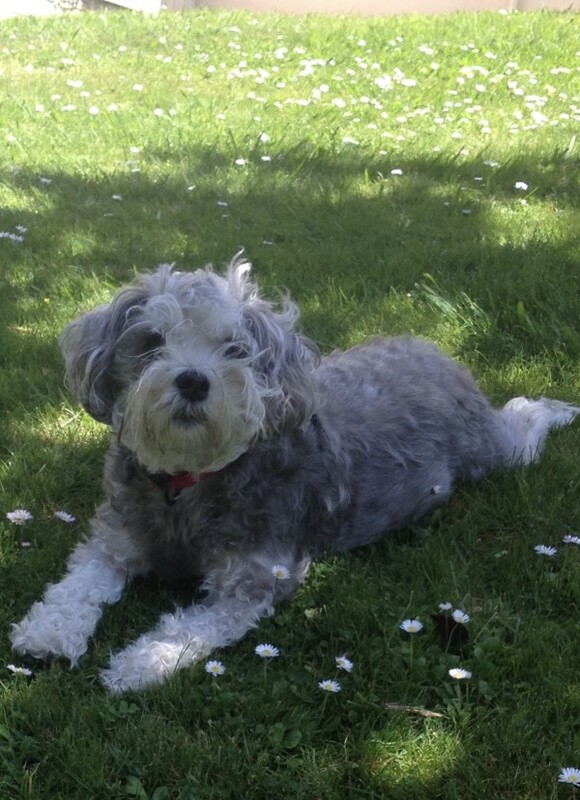 Recently, my diabetic dog suffered a stroke and could not recover properly. 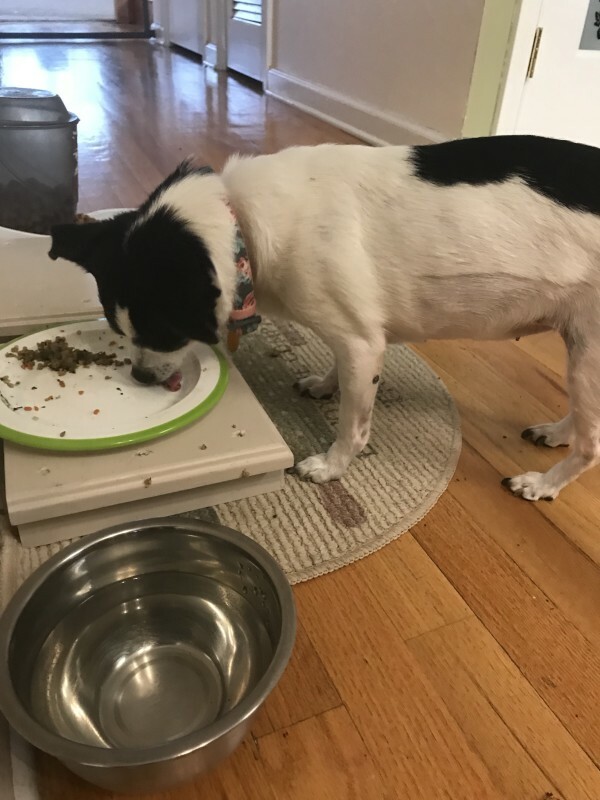 Her veterinarian said her food would play a huge role in her recovery, but I literally almost cried trying to find something she would eat which also met her dietary needs (which is a very small selection of prepared products). It got to where she was becoming malnourished so for a while it was scary! Finding a food that she will eat or CAN eat has been difficult, to say the least. So needless to say, it makes me deliriously happy to tell you she BEGS for this. Just knowing that it’s obviously healthier for her makes me very glad to have found this product, Paradigm. 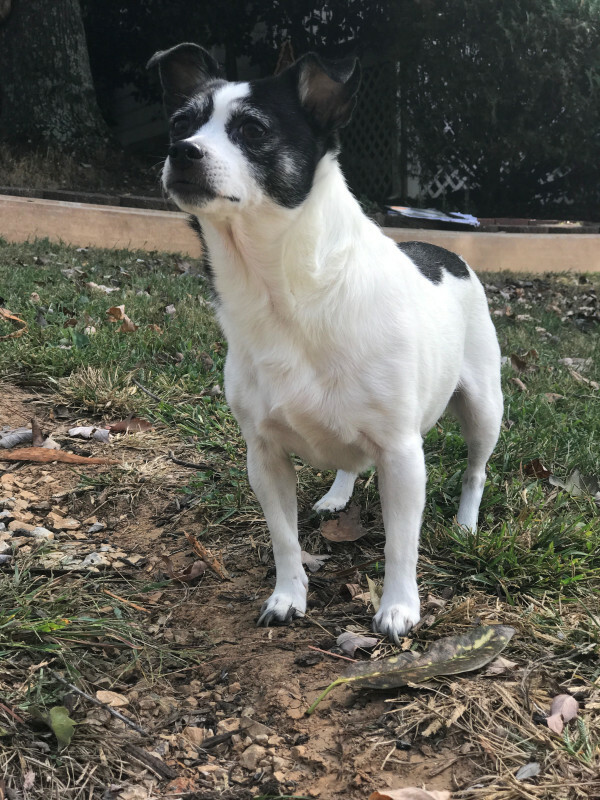 Thank You So Much-You Probably Saved My Dog’s Life! Maddie is a special girl. She didn’t have a great start in life but she’s thriving now. 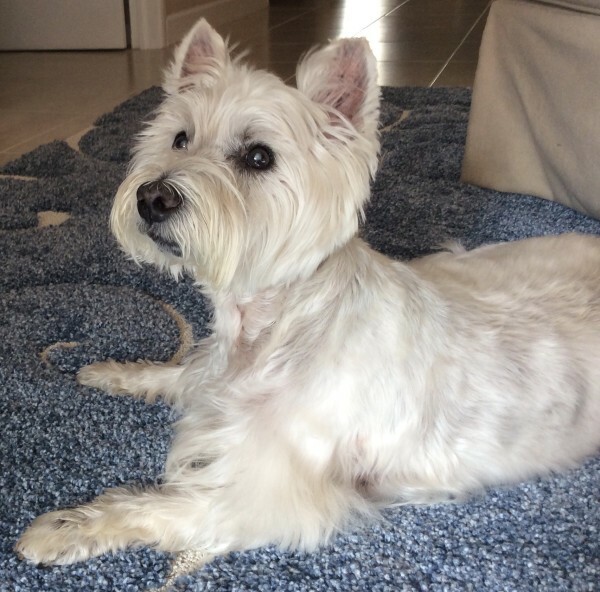 Maddie’s issues started when we took her in to have her teeth cleaned from her previous owners neglect at which time we found out her liver enzymes were high. We managed to get that under control only to discover after getting her liver checked and HW test done she had high glucose and fatty blood. The vet gave us Royal Canine Glycobalance and a supplement to help with her fatty blood. Maddie didn’t like the food and upon reading the ingredients neither did I. I immediately started researching better food options for her and came across Dr. Harvey’s Paradigm. I immediately ordered a sample and took in to my vet and told her I wanted to try it for Maddie. We Found Paradigm and She Loves it! After her very first bowl of Paradigm Maddie has been dancing for her dinner. She absolutely loves it. She dances around at every feeding and her glucose levels have dropped to normal levels. I will continue to buy and feed Maddie this food since it was such a hit with her. I’ve recommended it to the homemade dog food group I’m in and to friends and family as well. She loves Dr. Harvey’s Paradigm, her glucose levels have dropped to normal range and I fully believe Dr. Harvey’s Paradigm has prevented my little girl from going on insulin. Thank you so much for making such a lifesaving food. Amanda and Maddie. His Glucose Levels Are Now Normal! 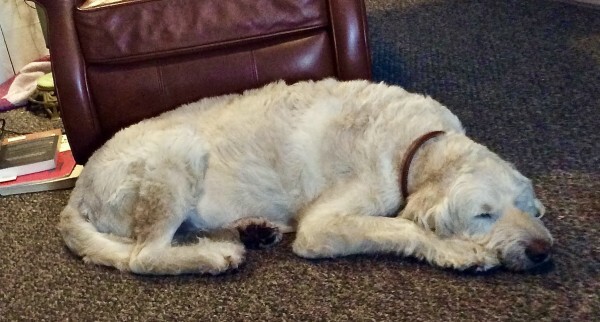 When you receive the diagnosis that your dog has diabetes ,it is difficult and frustrating. When Phyllis wrote to us to tell us about how changing her beloved Sucre’s diet helped him so dramatically with his diabetes, we knew we had to share her experience. While so many dogs suffer from diabetes, we want pet parents to know that proper nutrition can make all the difference in the longterm management of this serious disease. Paradigm, offers pet parents a very low-carb, super nutrition option when they are looking for a supportive nutritional plan for their companions. 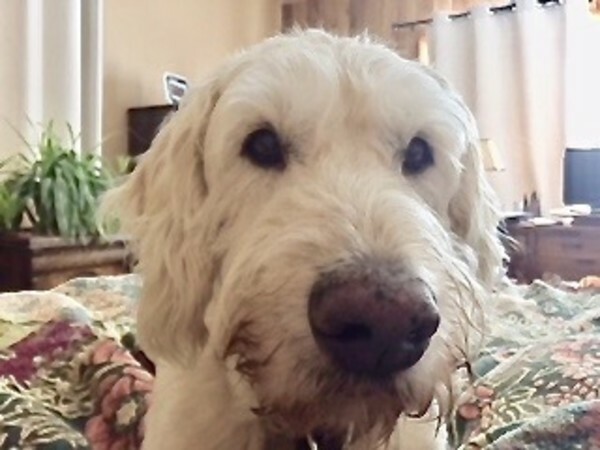 Sucre, my beautiful Labradoodle, was recently diagnosed with diabetes and put on a prescription diet that lists its first ingredient as whole wheat with broths vitamins and a little chicken meal. I couldn’t get his blood glucose below 600 for 3 weeks. NOT GOOD. He had lost 20 pounds and was boney and getting worse. I transitioned him over to veggies & protein & coconut oil over a weeks period cutting out the prescription kibbles. I now have him on a mixture of Harvey’s Veg-to-Bowl and Paradigm with fresh protein and oil. He is acting like his puppy self again even though he is 9 1/2 years old. He has regained his muscle back and his glucose levels are now normal and steady. He is taking less insulin and I couldn’t be happier. Why Feed Your Dog a Ketogenic Diet? There is a great deal of scientific evidence that this diet may help certain conditions such as seizures, and other neurological conditions, cancer, obesity and diabetes in both humans and animals. 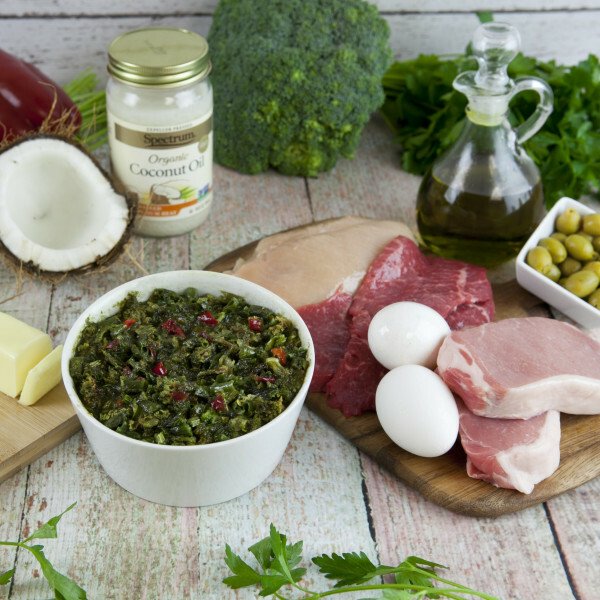 Paradigm is the perfect base food and makes feeding a ketogenic diet so easy to do. Our mission has always been to provide information that will help pet parents to make the best choices when deciding on how to feed their companion animals and achieve optimal wellness. 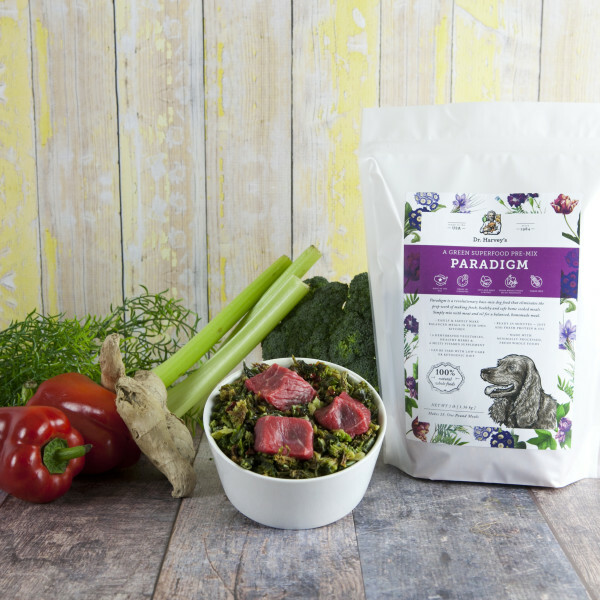 Paradigm is our newest base food for making a home made, fresh food diet that is easy to make, contains very low carbohydrate ingredients and can be prepared to make healthy ketogenic meals for dogs. We provide foods that are often the solution to a guardian’s quest to find nutritional answers to chronic or recurring health problem. To that end, we have, for over 30 years, provided foods that help pet parents feed their companions a daily diet that is made from fresh, safe and healthy ingredients. We have seen miraculous improvements in so many dogs, cats and birds and we have helped healthy animals to remain healthy. The Keto Pet Sanctuary is a state of the art facility that provides a variety of alternative therapies for dogs with cancer. Dogs at the sanctuary are fed a diet that is high in fat, uses moderate amounts of protein and is very low in carbs. The diet is meant to slow or halt the growth of cancer, based on the theory that cancer cells feed on sugar (including carbohydrates that break down to sugar) and will not survive on fat. Rodney Habib, pet nutrition expert and researcher, recently spoke about findings from Veterinary Oncologists showing that there is a strong correlation between too much sugar, high carbohydrate and high starch diets and cancer. 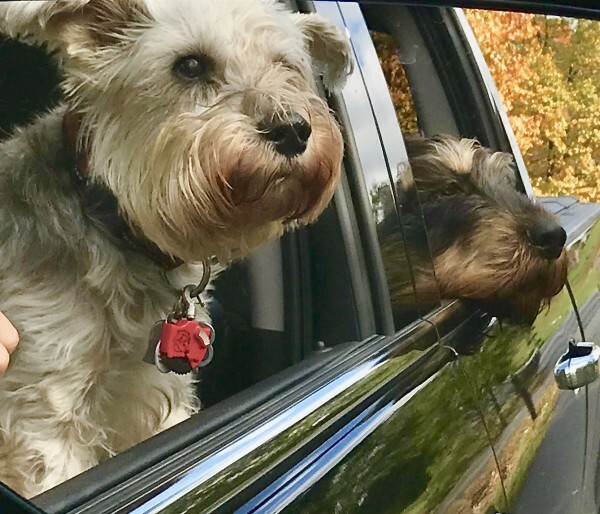 He recently completed a documentary called, “The Dog Cancer Survival Series.” He has traveled the world looking for nutritional studies that provide alternative nutritional diets for dogs with cancer. These nutritional modalities include raw food and fresh food, caloric restriction, metabolic therapies and ketogenic diets. Add these to Paradigm to make a complete meal for your dog. Obesity in dogs is at near epidemic levels in the US. If you have ever had a dog that is overweight, you know how difficult it can be to reverse the condition. Obesity in dogs can lead to the development of a host of health problems including, diabetes, joint problems, and cardiovascular disease. Obesity is not just a vanity problem; it is in fact, a serious condition in dogs that adversely effect your dog’s health and longevity. Lower carbs and feeding fresh food will help to normalize your dog’s weight. Paradigm is perfect for this. How we think about feeding our companion animals needs a new paradigm and there is now a body of research that concludes that feeding your dog fresh meals that consist of high-quality proteins, healthy fats and low amounts of carbohydrates can encourage healing and promote wellness. Based on the findings of distinguished researchers now published in the research literature on the benefits of a low carb diet for the care of dogs and cats with cancer, diabetes, and obesity, we are working to educate pet parents worldwide. Paradigm can be used for dogs who have health challenges that would benefit from a ketogenic diet, as well as for healthy dogs looking to maintain optimal wellness. The sooner you start your pup on a diet of fresh foods and low carbs the sooner you will have your best friend on road to good health. Paradigm is easy to prepare and it’s the very best food you can give to your dog. Dear Dr. Harvey’s Team, Thanks for asking how Beazer liked the food! He LOVES it! I am so happy… as feeding him since his diagnosis of diabetes 2 years ago had been a struggle. I had allergy testing done a couple years ago, as he was always itchy (Westie). After many years of steroid use to treat itchy skin, ….I feel certain that’s why Beaz developed diabetes. potato, corn, or filler, that he is allergic to. I was getting more and more exasperated… as his sugars were never really controlled… a “good” read for him was in the 200s.. not optimal! After only 5 days on the Paradigm, his glucose was at 170 when he was 7 hour post insulin!!! Never happens!! I was elated. I am planning to do a glucose curve then the new bag arrives. I am so hopeful! Thanks so much… as Beazer is a true “case"! 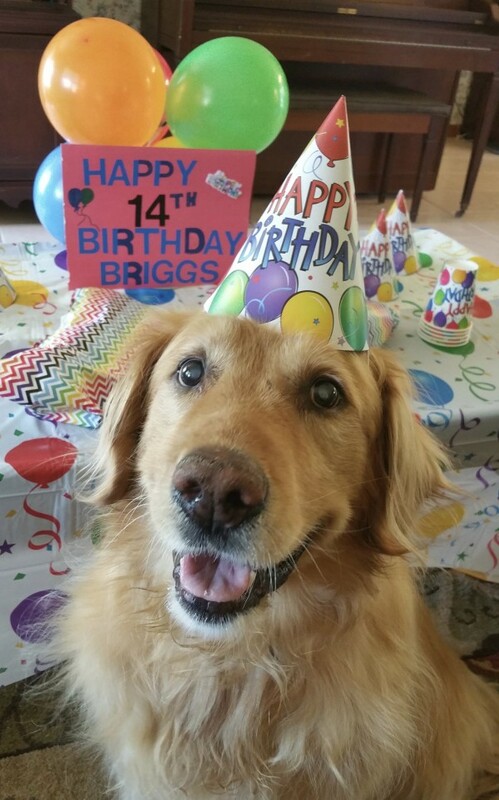 I’m including a recent picture of Beazer, who will be 14 years on February 5th! 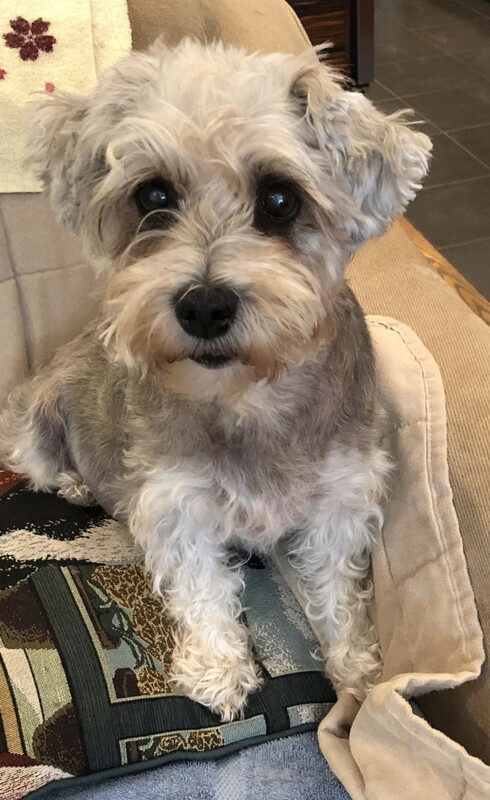 "Whatever it takes for Captain-Our Diabetic Dog"
Hi Dr. Harvey’s, We wanted to reach out to you to let you know our story and our journey with Captain and his diabetes. 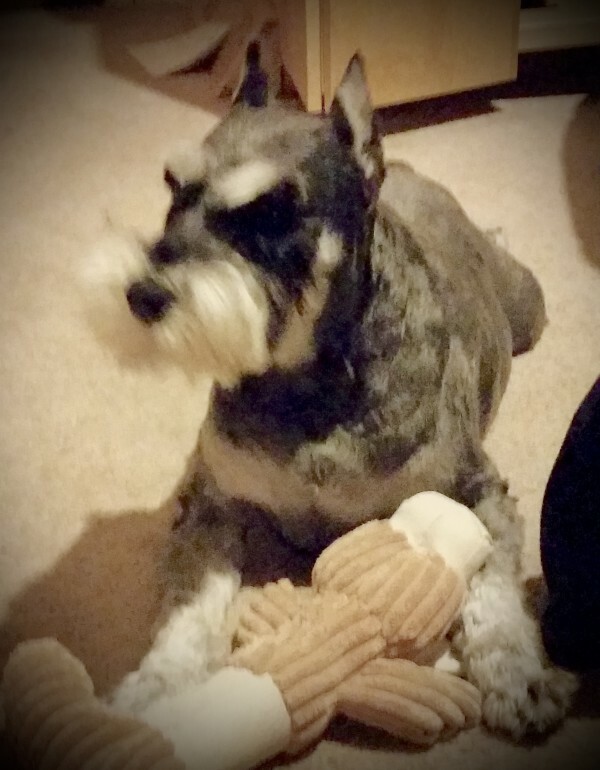 Our dog Captain is a 10 year old Miniature Schnauzer who become diabetic just over a year ago. Our early start was with the prescription dog food our Vet recommended for Diabetic Canines. It did not take long to realize his glucose numbers were not stabilizing, in fact they got worse. The Food Was Converting to Sugar! We realized they got worse because the ingredients for this food contain foods that convert to sugar. Shame on the food company. We went to a animal nutritionist in New Jersey and she started us on the path of a custom home made meal plan for Captain. His number improved but we weren’t satisfied. My wife is extremely smart and, in my opinion truly understands more that even I give her credit for sometimes. Pam started tinkering with the meal plan and soon his numbers greatly improved. She so smart. 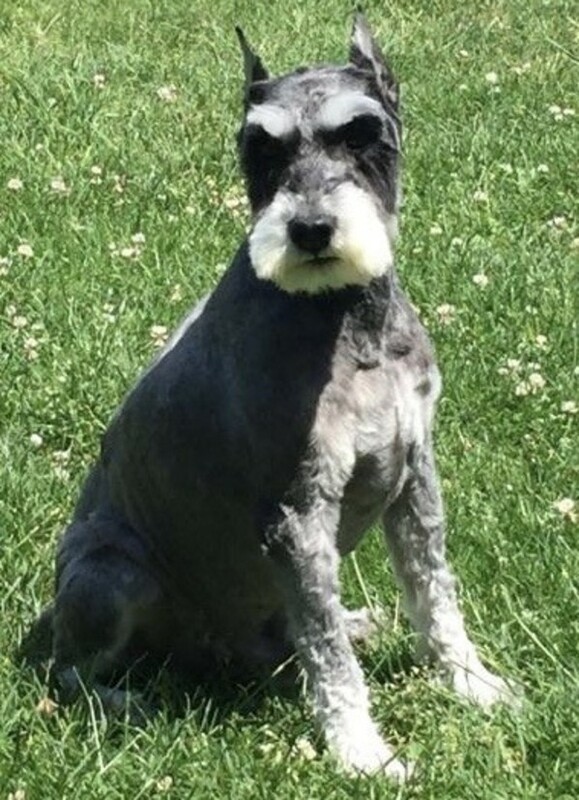 However, we were pointed in the direction of Dr. Harvey for his solution by our groomer, Chris, from The Good Life Mobile Dog Grooming in Nanuet, New York. She was the one who introduced us to your products. We are very grateful to her for this recommendation! She is the best and most knowledgeable groomer ever! Keeping up with home based created food and securing fresh ingredients all the time is a bit trying for our family. However, we won’t compromise on what Captain needs. People that know us will tell you when it comes to Captain we say “Whatever it takes”. We long ago always knew that a dog should be eating what a dog should be eating and the commercial dog foods are garbage. When we ordered our first order of Paradigm we couldn’t wait until we got it. It helped us be able to feed Captain a bit easier with the very ingredients we were feeding him ourselves. (Somewhat). In addition, it has come to light that we may be over do it with protein. As I understand it can lead to a whole new set of issues. It is our hope that Paradigm will be our Miracle…because we deserve one. This Has Helped to Stabilize His Numbers! Captain is now on the Paradigm food and he adjusted his intake and this was able to stabilize his glucose numbers. He is doing just fine! We are Part of The Revolution! PS sorry for the long winded email. So many pet parents don’t understand the feeding revolution.